Do you have a poem or words in your head that you think would make a great song? The Ridgefield Playhouse can help – no songwriting experience necessary and you don’t even have to play an instrument! 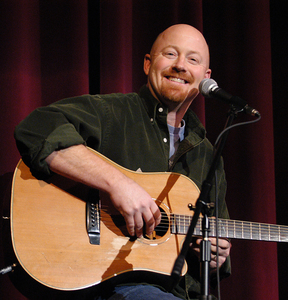 The Ridgefield Playhouse is offering scholarships for teens and adults who would like to learn Songwriting with world-class musician Kevin Briody. The class meets on Wednesdays from 7:30 – 9:00 p.m., February 13 – April 3. Emmy Award-winning Musician Kevin Briody will teach you how to structure songs, create “hooks,” craft lyrics, manipulate melody, rhythm and harmony, merge words with music, and write toward genre. Whether you’re a fan of pop, rock, hip-hop, R&B, country, music, lyrics, or both, he’ll show you how to write songs that soar! For more information on shows, events, movies and educational programs offered at The Ridgefield Playhouse, kindly visit ridgefieldplayhouse.org, or call the box office at 203-438-5795. The Ridgefield Playhouse is a not-for-profit performing arts center located at 80 East Ridge, parallel to Main Street, Ridgefield, CT, ridgefieldplayhouse.org.